This morning i worked in the garden de Tuin op Hofbogen. Harvesting the beans, the courgttes. Watering a bit. Talking with some visitors. Good weather. This afternoon i went to the market and got me some leeks. Yesterday i thought about making a leek and chicken soup. Which is what i did! I also used fresh ginger. 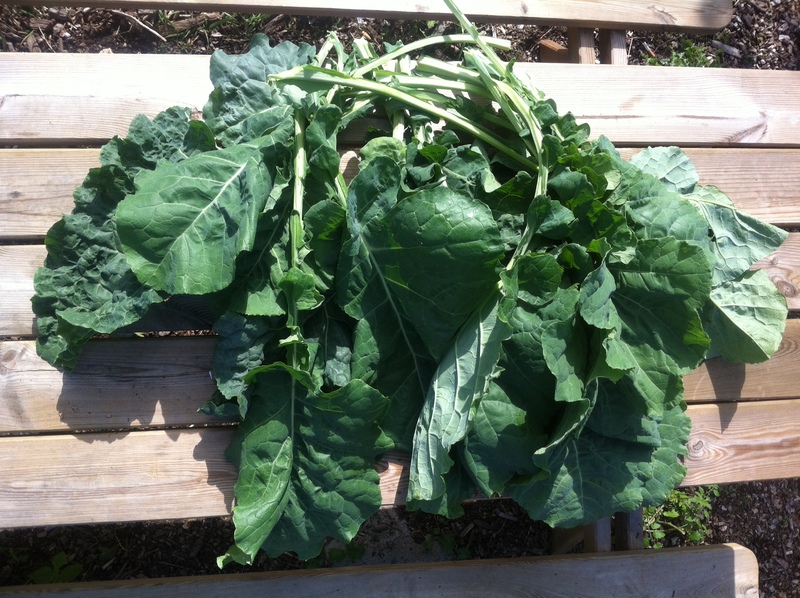 Some loose leaved cabbage from the garden. A courgette, because, well, i have so many! It tasted good. Tomorrow i will do something with the beans i have. I might blanche them and put them in the freezer. I also want to do something with the green tomatoes i took home today. A green tomato chutney! The plant in the photo above is a Doornappel. I posted this picture in the Dutch permaculture group. I saw this plant today in the garden and was curious. I talked about it with the other people, but nobody knew what plant it was. 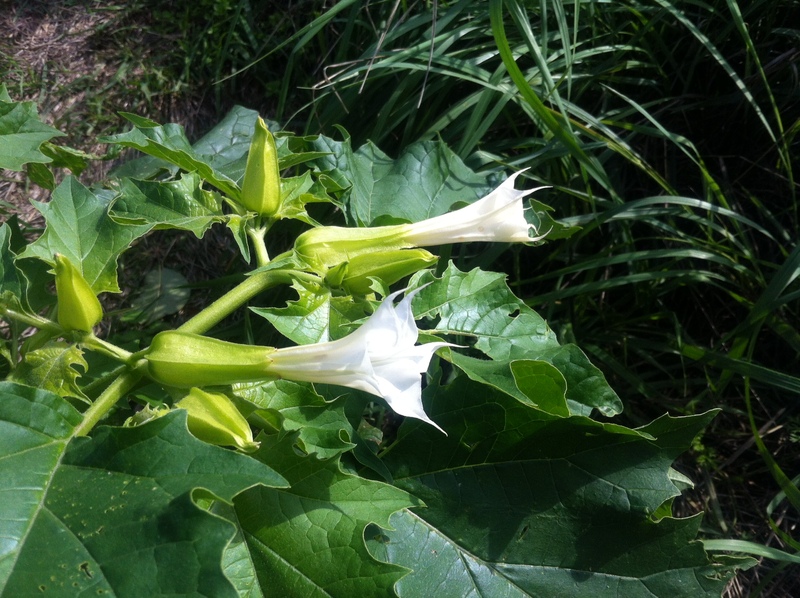 In the permaculture group within minutes two people replied with the correct answer, the doornappel, the Datura stramonium. A member of the nightshade family and a very poisonous plant. Careful!